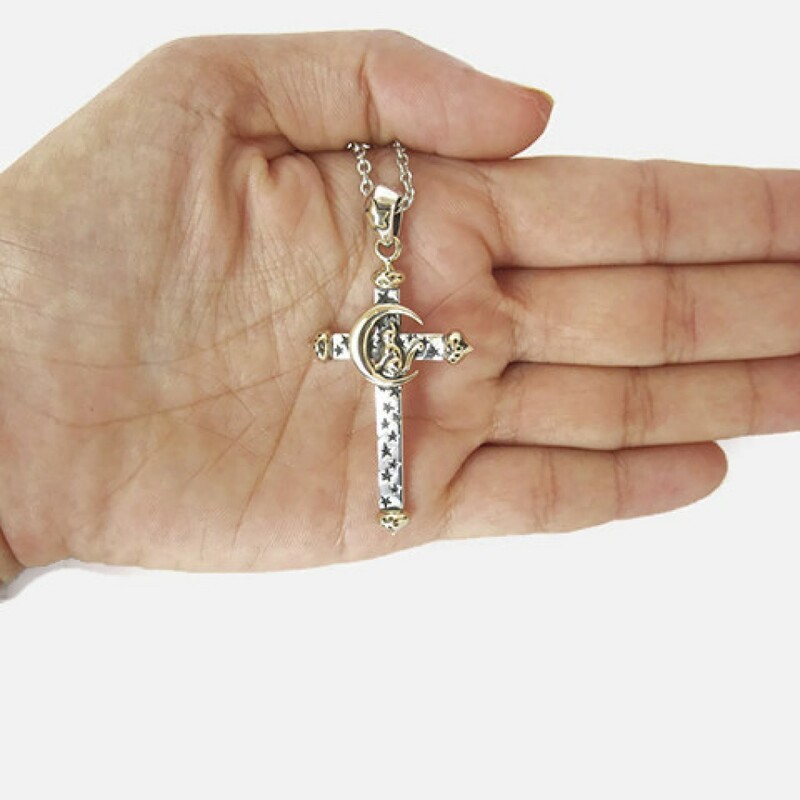 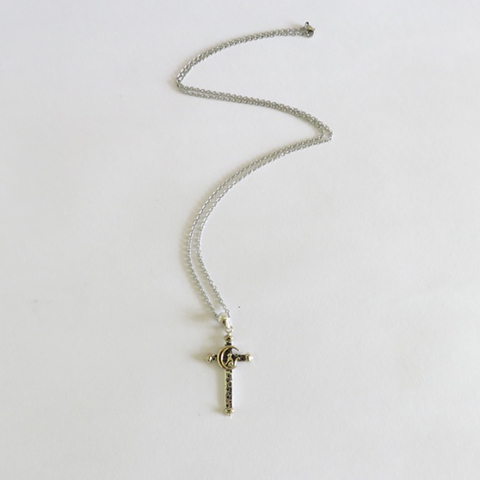 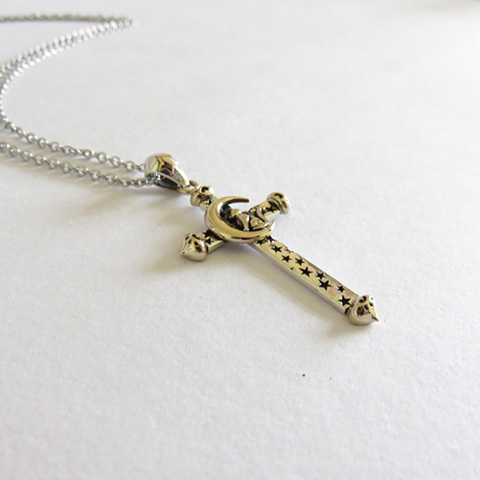 A 925 silver cross and cat pendant. 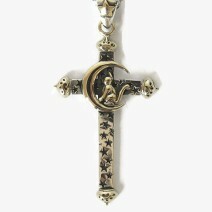 This cute golden cat silhouette sits on a polished brass crescent moon with a star clustered Cross charm. 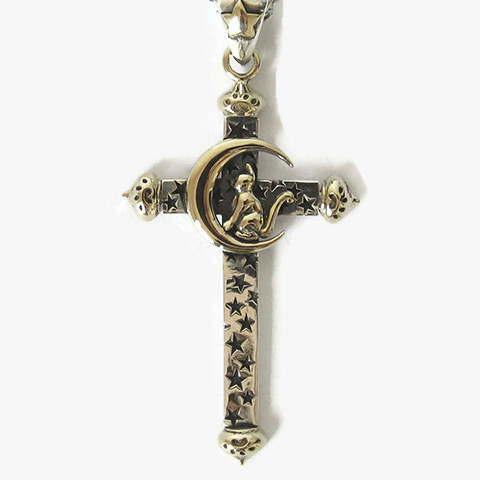 This cat pendant is the perfect gift for yourself or a friend who is a lover of feline cats. 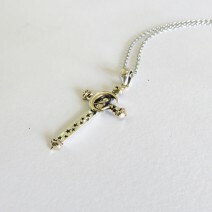 Hangs from a FREE silver jump link and stainless steel chain.